Sambhar is situated 94 km west of Jaipur in Rajasthan. This is the country largest inland saline lake. It is also known for its ancient holy Devayani tank, the palace and near by site, Naliasar. The ancient temple of Shakambhari Mata, from which this town is supposed to have derived its name, is also situated here. 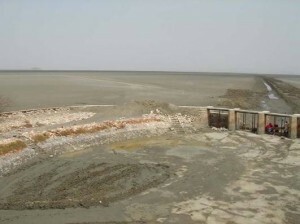 This entry was posted in Rajasthan, Sambhar and tagged Sambhar Lake. Bookmark the permalink.